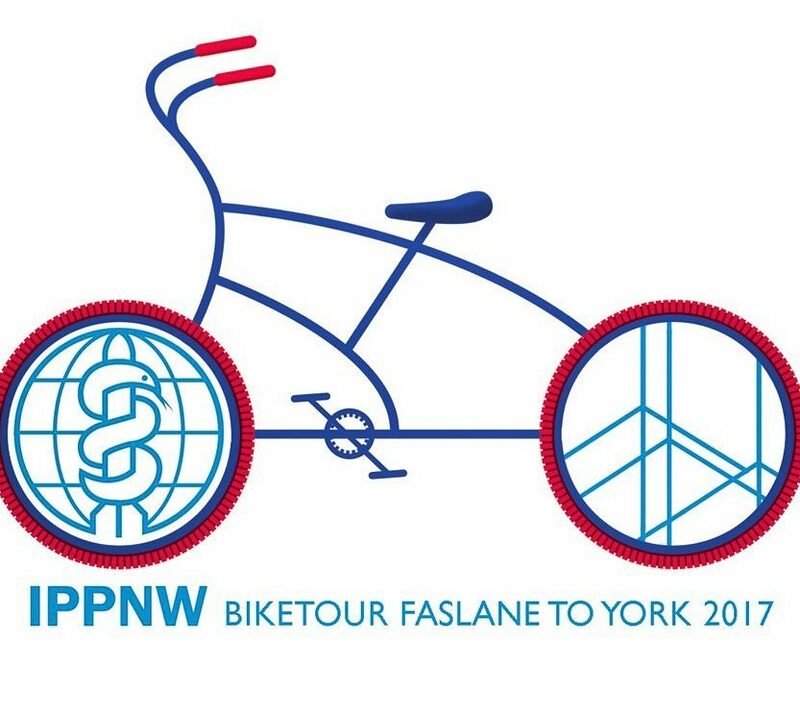 Taking their protest against nuclear weapons to the streets, a bunch of IPPNW activists from all over the world will cycle from the Scottish Tridents base Faslane to York, where the IPPNW/Medact world congress will be held. From 26th of August until 2nd of September, the bikers will meet politicians, organize public demonstrations, give interviews and spread information on the impact of the nuclear chain on a local and global scale. The tour is being organised by International Physicians for the Prevention of Nuclear War, or IPPNW for short. The IPPNW have been working to alert policy-makers, the media and the general public about the health and environmental dangers of nuclear power and nuclear weapons for decades. As medical professionals concerned not only with the health of our patients, but also global well-being, we are advocating a global shift towards nuclear abolition, as well as a shift from nuclear energy towards renewable sources of energy, energy conservation and energy efficiency. Our tour is designed to draw attention to these important topics. Over the course of ten days, twenty young doctors and medical students from all over the world will cycle from Faslane to York, meeting with politicians and local activists, organizing public demonstrations and connecting with everyday people along our route. We will start in Faslane, in the UK, which is best known as the British Navy base which houses the Trident submarines. These nuclear-armed submarines are meant to provide a continuous at-sea nuclear deterrent. After a journey of roughly 280 miles, we will finish the tour in York, which will house the IPPNW world congress this year. The congress is being organized by Medact, the british IPPNW affiliate. You can follow all our adventures here at the blog. Please consider supporting our cause by sharing the blog and spreading the word.